You may know sleep apnea as a condition that creates breathing problems when people sleep at night – this makes it difficult for people to enter deeper phases of sleep and leads to consistent weariness. It is an annoying conditions, but sleep apnea can also present many other symptoms, some far worse than simply being tired. Here are the hidden dangers that long-term sleep apnea can create in those who suffer from it. 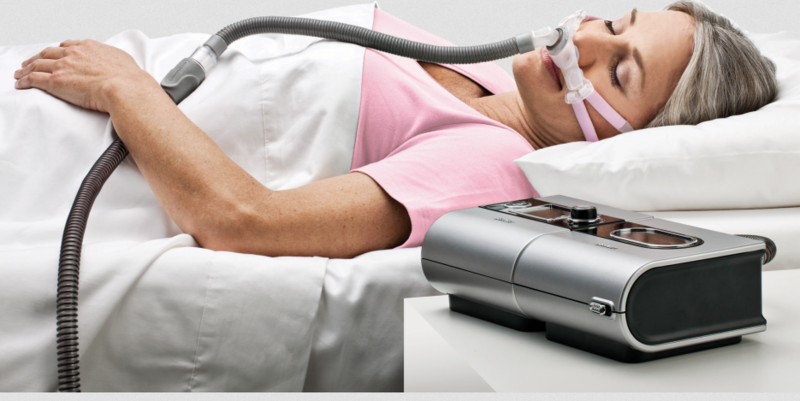 To learn more about sleep apnea and browse supplies and devices used to treat it, visit CPAPMan.com. 1. Blood Pressure Problems: It may seem strange that sleep apnea is connected to high blood pressure, but this is a sign of just how far-reaching the symptoms of the sleep condition can be. You see, the stress that poor sleep and frequent waking put on the body can lead to hormonal changes. Extra hormones are released, increasing blood pressure. Meanwhile, the lower blood oxygen levels can amplify the effects of hypertension. The result is a greater likelihood of blood pressure problems. 2. Stroke and Heart Disease: The increased risk of stroke and heart disease in those suffering from sleep apnea is partly because of the higher blood pressure levels, but there are other causes as well. In fact, there is a generally higher risk of people with sleep apnea to suffer from heart attacks in the middle of the night. This is because a harsh wake-up that sleep apnea forces can quickly put extra stress directly on the heart. Meanwhile, disrupted oxygen flow makes it difficult to regulate blood arteries in the brain and increases the chance of stroke. Women may be in more danger of these effects than men. 3. Heartburn: Acid reflux and sleep apnea tend to go hand in hand. The reason is uncertain, but it probably has something to do with the increased stress and the awareness that comes with trying to fall asleep with the condition. Long-term heartburn can cause damage to the esophagus and other serious problems. 4. Diabetes: There is a lot of overlap between type 2 diabetes and sleep apnea. The vast majority of those with type 2 diabetes have problems with their throats closing when they try to sleep. Sleep apnea may also be responsible for exacerbating certain symptoms of diabetes, again probably because of stress levels. Obesity may also be a strong related factor. 5. Weight Problems: There are several reasons that weight problems and sleep apnea tend to be so closely related. People who are overweight often have fatty deposits around their necks that add extra weight to the throat and make sleep apnea more severe. However, this also works in reverse: Sleep apnea is adversely affects metabolism and activity throughout the day, aggravating problems with obesity. 6. Asthma Issues: While the link is not fully understood yet, sleep apnea does appear associated with adult asthma, and improvement in one condition is often followed by improvement in the other area. 7. Car Accidents: This is the most common external risk when it comes to sleep apnea. All that extra stress and lack of sleep can lead to some very poor driving. In addition to the obvious danger of falling asleep at the wheel, those who suffer from sleep apnea tend to make more mistakes and get in far more accidents than other drivers.